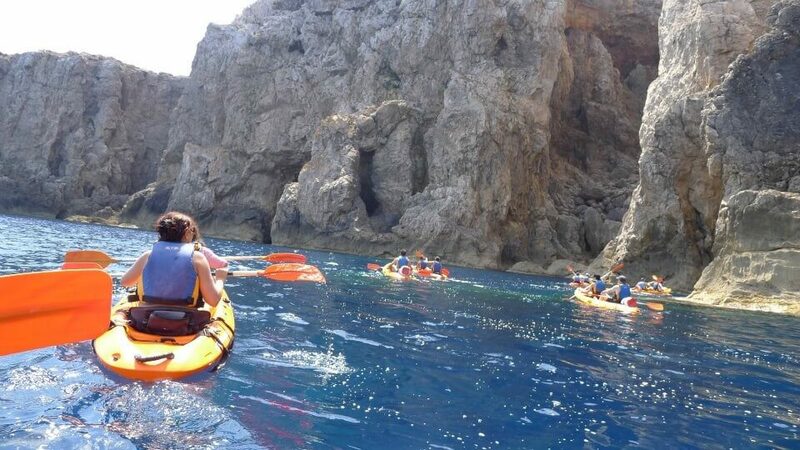 This offer will be consisting in 2 days of several activities combining one day with sea kayaking and a guided session of snorkeling and caving in one of the richest places in marine diversity of the Island, and another day a trip with our Motor sail straight to the Bledes Islands and having some snorkeling too. Day two, we will get ready for kayaking + caving + snorkeling, for this activity we will use a sit on top kayak, very stable and easy to manage. 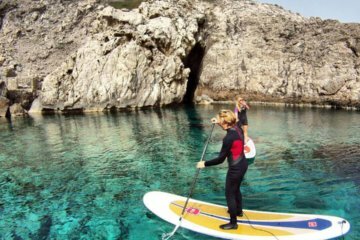 For those that already have experience paddling, we have available also expedition sea kayaks. 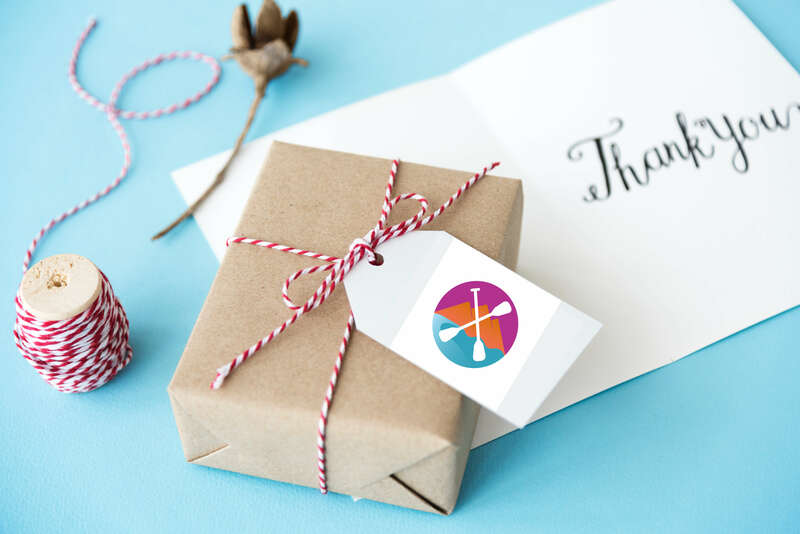 We will be getting change, we will do some warm-up exercises, get an explanation of kayak paddling technique, briefing on safety and getting ready to enjoying the environment. 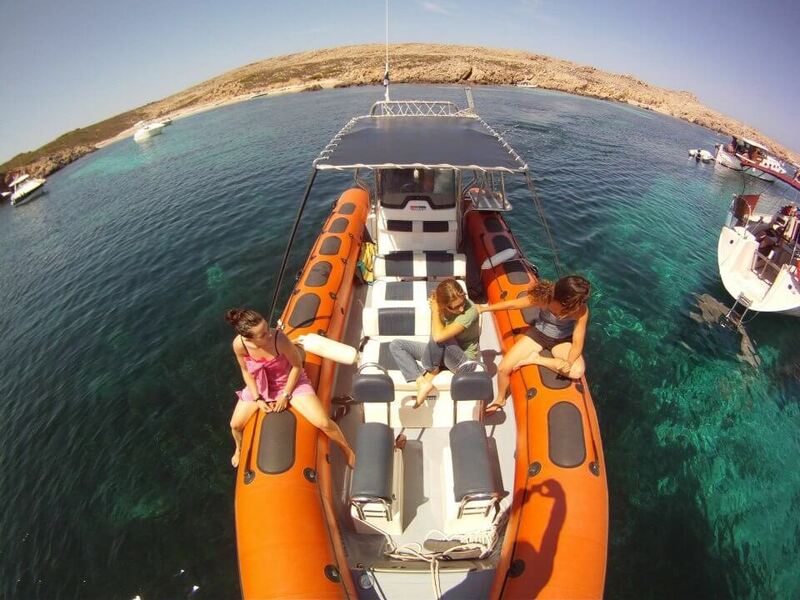 Your instructor will be accompanying you all the time on board. 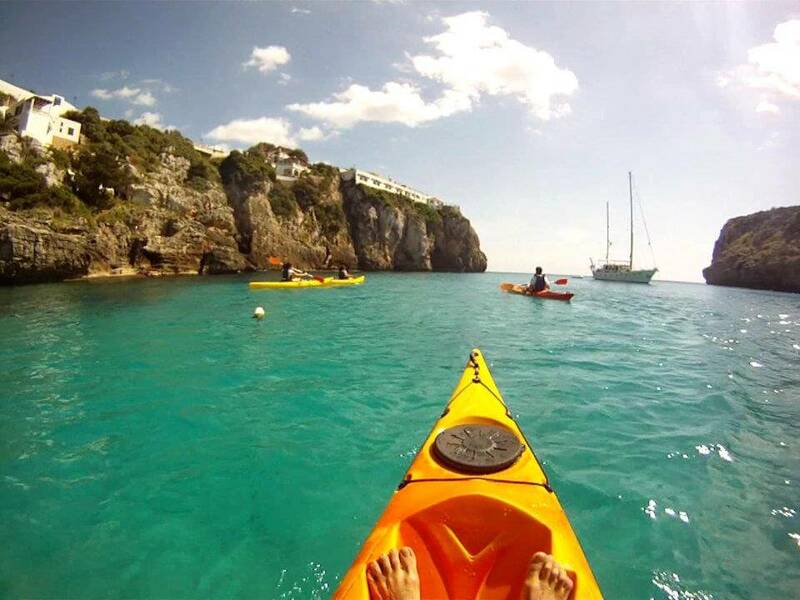 We will paddle through Fornells Bay to reach the cliffs of la Mola de Fornells. 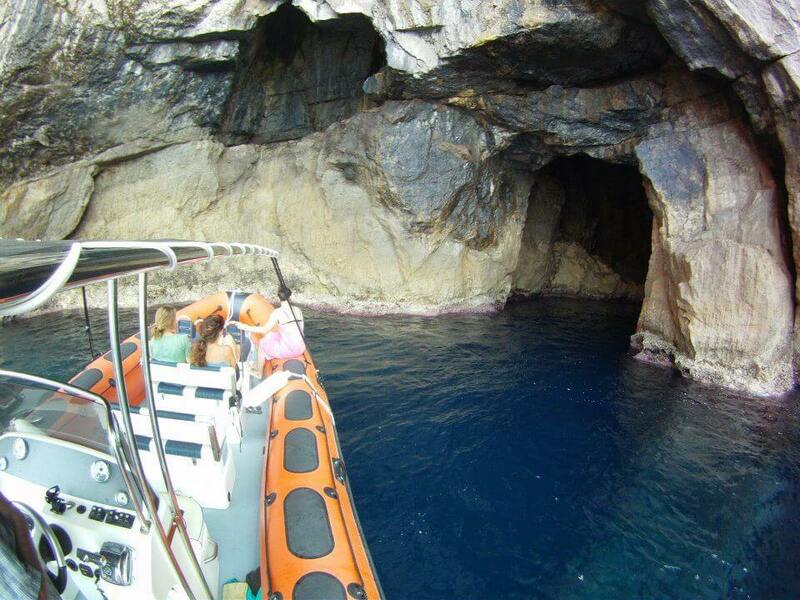 Once there we will start to snorkel in La cueva del inglés where there is a very rich seabed and space enough to leave the kayaks. 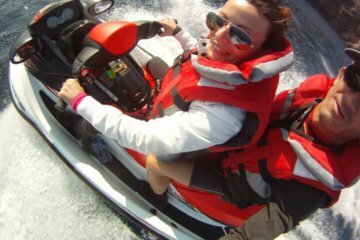 The instructor will organize the group and will take care of the safety of the group in the water. We will discover the most representative fauna and flora of the area an enjoy of a landscape of crystalline waters and great beauty. We will paddle back to the beach of Fornells and we will be finishing with some stretching exercises. The whole journey takes us: between 3-4 hours – 8km distance. 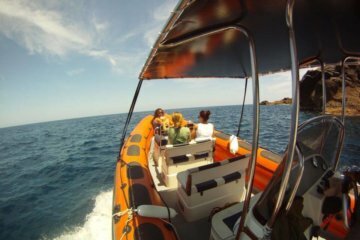 Sea kayak tour :Mornings from 10am to 2pm and Afternoons from 3.30pm to 7.30pm.